In light of the MACUCC 2011 resolution, the Massachusetts Coalition for the Homeless (read this resolution here) encourages support for "An Act Providing Housing & Support Services to Unaccompanied Homeless Youth", House Docket #364, filed by Rep. Jim O'Day and Sen. Katherine Clark. Please consider contacting your legislator to urge him/her to become a co-sponsor of this bill.To find out who your state legislators are and their contact information, go to www.wheredoivotema.com). The deadline for action is February 1. There is a desperate need for increased shelter and housing options for youth who are experiencing homelessness and are living outside the care and/or custody of their parents or guardians. The Department of Elementary and Secondary Education estimates that nearly 6,000 high school students are experiencing homelessness and on their own in Massachusetts. These numbers do not capture those unaccompanied youth who have dropped out of school or finished high school. Youth homelessness takes its toll on both the youth and our society at large. Youth who are homeless as adolescents face bleak outcomes and can perpetuate a cycle of dependence on public systems and benefits. 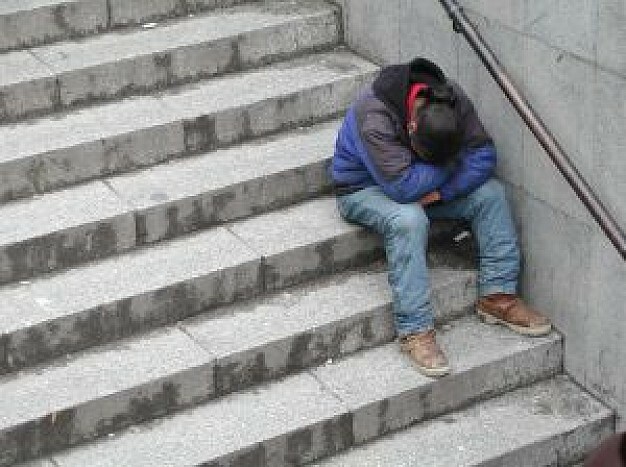 While many youth are resilient and are able to overcome the ravages of homelessness, homelessness often leads to poor health outcomes including increased risk of death, exposure to violence, susceptibility to exploitation and high risk behaviors, and poor academic performance with increased risk of dropping out of school. This bill seeks to reduce youth homelessness and its adverse effects by funding a continuum of housing and support services geared specifically for unaccompanied homeless youth. The goal of these efforts is to improve housing and residential stability, reduce the risk of harm and improve educational, physical and mental health outcomes for this population. This bill piggybacks off of a budget amendment passed during the Fiscal Year 2013 budget debate that established a special commission tasked with identifying the needs of the unaccompanied homeless youth population and identify real, tangible solutions to the problem. The Commission’s report is due to the legislature on March 31, 2013. Section 1: Requires the Executive Office of Health and Human Services to enter into performance-based contracts with organizations and agencies to provide services to unaccompanied homeless youth. These service needs will be identified in the Unaccompanied Homeless Youth Commission Report that will be released on Mar. 31, 2013 to the Legislature. Programs funded under this Act shall provide a continuum of housing options for this population provided on a voluntary basis in conjunction with wraparound support services, which shall include but not be limited to: emergency shelter, "kinship" home placements, short term housing and "Transition to Independent Living" programs. The funded programs shall provide unaccompanied homeless youth with a stable out-of-home placement and help to reunite the youth with the youth’s parent or legal guardian if family reunification is in the youth's best interest, and help to create educational and residential stability. Additional support services funded through these contracts may include but are not limited to: individual, family and group counseling; access to medical, dental and mental health care; education and employment services; case management, advocacy and referral services; independent living skills training; and provision of basic needs. Section 2: Defines "Unaccompanied Homeless Youth" as a person 24 years of age or younger who is not in the physical custody or care of a parent or legal guardian and who lacks a fixed, regular and adequate nighttime residence. The more specific definition of unaccompanied homeless youth can be found in the bill’s language and is also expected to encompass the findings of the Homeless Youth Commission. Section 3: Directs the Executive Office of Health and Human Services to establish contracts to provide services to unaccompanied homeless youth in urban, suburban, and rural areas across Massachusetts. Section 4: Requires the Executive Office of Health and Human Services to monitor contracted agencies providing said services to unaccompanied homeless youth to ensure quality and transparency. The Executive Office of Health and Human Services will be required to collect this data on service agencies it has entered into contracts with and report this data annually to the Clerks of the House of Representatives and the Senate, the Joint Committee on Children, Families, and Persons with Disabilities, the House and Senate Committees on Ways and Means and the Office of the Child Advocate by December 31st of each year. FEBRUARY 1, 2013 IS THE DEADLINE TO GET CO-SPONSORS! Please contact your state legislators and ask them to support this bill by signing on as co-sponsors of this bill. Representatives can contact Rep. James O’Day’s Office and Senators can contact Sen. Katherine Clark’s Office. Please let us know if your state legislators are willing to be co-sponsors. To find out who your state legislators are and their contact information, go to www.wheredoivotema.com. For more information, please contact Kelly Turley, Massachusetts Coalition for the Homeless, kelly@mahomeless.org , 781-595-7570 x17.